"My kids started dancing at A Step Above in 2008 after being enrolled in a couple other local dance studios. They are by far the most organized and professionally-run studio we’ve come across. 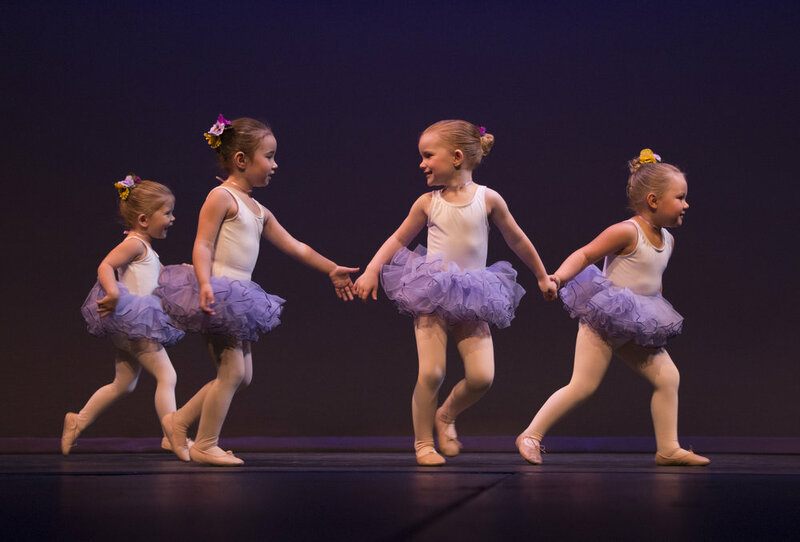 The staff is very friendly and knowledgeable and does wonderful things for the kids- whether they are little ones taking dance for the very first time or older ones training to dance professionally. They have a clean and well-maintained environment and their attention to detail and communication via newsletters etc is very helpful. This studio has been my daughters' home away from home for many years we are proud to be a part of the Step Above family!" –Lara G.
"Our daughters have been dancing with A Step Above for 8 years. Each year, I am amazed at how much they progress and grow as dancers. Tami and her excellent staff accomplish this by emphasizing strong ballet technique, which is needed to perform any other dance style well. ASA also takes great care to make sure that each dancer progresses at a level that is safe and appropriate for them, while at the same time having lots of fun! With ASA, I am confident our children are receiving a high quality, well-rounded dance education in a positive atmosphere." –Kelly S.
"My daughters have danced at A Step Above for the past six years. During that time they have made a great deal of progress and personal growth in their dancing skills. They are always excited to go to their classes and it has truly become a second home to both of them. The teachers at A Step Above are phenomenal. They not only play the role of an instructor, but they also reach out to the dancers on a personal level and make an effort to get to know each and every dancer individually. The teachers run very positive and upbeat dance classes and my children always leave with a smile on their face. Both of my daughters have made lasting friendships at A Step Above. They are always eager to get to class early so they can catch up with their friends. A Step Above is an extremely positive environment. I would highly recommend A Step Above to any parent who is looking to put their child in dance classes and looking for high quality instructors and a positive learning environment." Since A Step Above has been open for 30 years, we have seen thousands of dancers pass through our doors. Some have kept dance in their life and others haven't but we are proud of everyone and honored to have been a part of their lives. We have had alumni who are or have been part of dance in many avenues. UW-Madsion Dance Program, University of Iowa Dance Program, UCLA Dance Program, School of the Arts, UW-Stevens Pointe, UW- Madison Dance Team, UW-Milwaukee Dance Team, UW-Oshkosh Dance Team, Dancers Elite, Optima, Pointe Park Summer Intensive, Hubbard Street Summer Intensive, Ballet Chicago Summer Intensive, River North Summer Intensive, Ball State University Musical Theater Program, Pointe Park University Musical Theater Program, UW-Milwaukee Dance Program, Rockette Summer Intensive, Sarasota Ballet Summer Intensive, Tremaine Performance Team, choreography job offers, cruise ship job offers, Disney job offers, and many have become dance teachers all over the US to name a few! If you are an alumnus and would like for us to share your achievements, please email A Step Above with a short biography as well as a recent photo/head shot and you may be featured too! Congratulations to our Featured Alumni! Read about their achievements below. I spent the three weeks in the summer (2013) trying the dance studio scene in Los Angeles. Since I was there on National Dance Day I went to Grant Park where I saw Nigel Lythgoe, Adam Shankman, Twitch, and many other SYTYCD contestants including Cyrus “Glitch” Spence whom I actually met and talked to about Animation. I sampled classes at The Edge, Millennium, Debbie’s, Movement Lifestyle (Nappy Tabs’ studio), I.D.A (the studio where SYTYCD films rehearsals – the top ten were rehearsing Stacy Tookie’s routine while I was there), and DADA (Debbie Allen Dance Academy) where I had the opportunity to meet Debbie Allen herself and had a one-on-one class with Karen McDonald. At The Edge I met the fabulous Leslie Scott who invited me to demonstrate for her at a dance convention called West Coast Dance Elite. She is an amazing person, and I highly recommend meeting her. I had earned a partial scholarship to The Collective, a week-long contemporary convention with teachers like Travis Wall, Stacie Tookie, and Mandy Moore. Dancers were divided into groups and each group learned a piece from a different choreographer. After 4-5 hours of rehearsals, the piece was shot on video. I was selected to be in Mandy Moore’s group and she gave me a small featured role in her piece. When I returned from my three weeks in LA, I worked as a Junior Counselor at a gymnastics camp (Porter Camp) where I taught dance. I am currently at Lou Conte Dance Studio in the Hubbard Street Scholarship program. I also continue to attend several dance conventions in Chicago and other parts of the country. I recently got my first paying dance job where I was hired to be a partner for a local production of The Nutcracker. My training at A Step Above has been invaluable on my ongoing journey towards becoming a professional dancer/choreographer. ASA provides terrific technical training as well as numerous outlets for creativity such as student choreography and improv activities. The skills I learned there have helped me in numerous audition and convention situations. The teachers at ASA have given me skills like retention of choreography (long and short term), ability to be uniform and mimic multiple styles, and the capability of personalizing any routine to fit my individual body and style. I cannot thank my teachers and this studio enough for the help they provided to me, and I highly recommend this studio to anyone interested in making dance a part of their life. I joined A Step Above as a sophomore in high school and trained in jazz, lyrical, and ballet in order to prepare for college musical theater auditions and a lifetime working in the field of musical theater. Although I was late to start training technically, A Step Above ensured that I never missed a beat. Even though I'd only trained for three years, the foundation that I received at A Step Above was enough for me to get accepted into the musical theater program at Point Park University, a program known especially for its high-caliber dance instruction. I will spend the next four years studying ballet, jazz, modern, and tap along with acting and musical theater techniques with the hopes of graduating with a BFA in Musical Theater in 2017. I know that I would never be where I am today had A Step Above not been so helpful in getting me into appropriate-level classes at such a late age. For my freshmen year of college, I was accepted into the University of Wisconsin-Milwaukee’s Dance Program. While being a dance major, I was able to take choreography, improvisation, modern, ballet, and African classes. I also was given the opportunity to represent the University of Wisconsin-Milwaukee Dance Program by preforming at the American College Dance Festival in Mankato, Minnesota. The trio that I performed in was chosen out of many dances from several different universities to perform in the final gala on the last day of the festival. As I now just finished my first semester of my sophomore year of college, I now attend the University of Wisconsin-Whitewater. I major in Physical Therapy and hope to specialize in the rehabilitation of dance and sport related injuries. I am also a dance minor and have been given the opportunity to perform at the American College Dance Festival for a second year, this year representing University of Wisconsin-Whitewater. In addition to my classes I take for my dance minor, I still attend as many conventions, master classes, and workshops as I can. In addition to dancing, I have been offered a dance instructor position for the City of Whitewater Parks and Recreation program. I am very happy with the training I received from A Step Above. Not only did the entire faculty provide me with great technique; I gained invaluable skills such as self-confidence, self-discipline, and perseverance to achieve all my goals. Since I was in middle school, I was given the opportunity to assist dance classes at A Step Above. My senior year I was able to teach my own class. The opportunity to assist and teach my own dance classes really showed me that along with dancing, I love teaching and choreographing. The positive atmosphere that all the teachers provide has inspired me to push myself to be the best dancer I can be. Along with the positive atmosphere, Tami and the faculty are great role models and always willing to help me with providing teaching techniques and choreography tips to better improve myself in those areas. Overall, I would recommend A Step Above to anyone and everyone. Tami and the entire faculty are so positive, they love their jobs, and their number one concern is to encourage the students to strive to be the best dancers and people they can be. I have been a dance Teacher at A Step Above Dance and Music Academy since 2009 and a Choreographer/Teacher for A Step Beyond Dance Company since 2011. 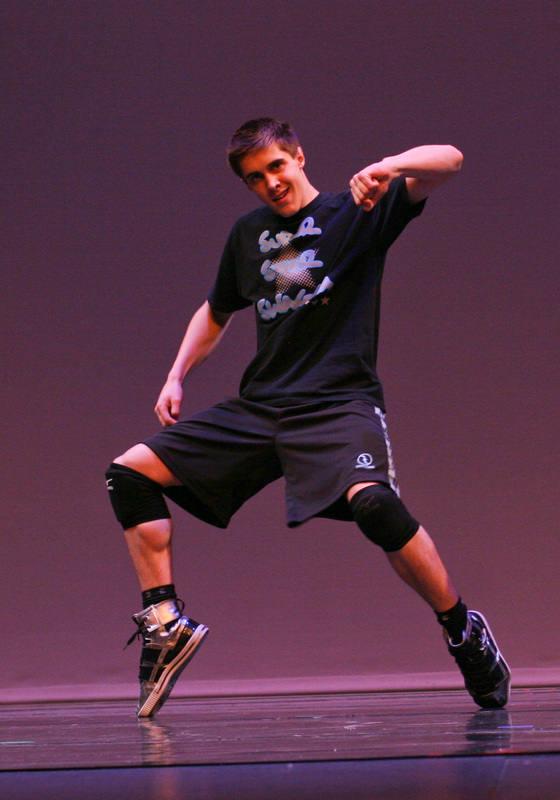 A Step Above has not only provided me with excellent technique and dance education but has taught me many life lessons. During my time at A Step Above, I learned to appreciate myself for who I was and what I was able to do. Tami and the faculty helped me grow as a dancer and person while also helping me gain self-confidence, self-discipline and time management skills. They also provided me with many opportunities to help develop my love for dance and teaching children. When I was in middle school, I was given the opportunity to assist classes. These experiences helped affirm that I wanted to be a dance teacher and prepared me for my own classes. I'm very grateful for the training, opportunities and experiences A Step Above has provided me with over the years. Every experience has helped shape the person that I am today. I am a dance major at UW-Stevens Point. I auditioned for the dance major program among forty something other dancers and was accepted along with seventeen other dancers. During my first semester I tried out for Afterimages, which is a show made up of student-choreographed works, and I got chosen to be in two dances. Out of the twenty dances that were made ten were chosen to be in the show. One of the dances I was in got chosen and I had the chance to perform in Afterimages. Along with my rehearsals I had my dance classes taught by Jeannie Hill, Michael Estanich and Joan Karlen. None of this would have been possible without the great training I received at A Step Above. My training at A Step Above has given me the skills to go out into the dance world with confidence. The amazing technique I learned here has given me great preparation for college dance. I have been complimented on my technique and my ballet teacher even asked me where I trained before I came to Stevens Point. A Step Above has also given me the ability to be a versatile dancer with the many different styles of dance taught here. Throughout my many years at A Step Above I have done ballet, jazz, lyrical, contemporary, modern, tap, hip-hop and musical theatre. At A Step Above I also learned how to work well with a variety of different personalities. This skill in particular will help me in whatever career I choose. The positive atmosphere created by the teachers and the students made it possible for me to feel free to express myself through dance. A Step Above has provided me with a variety of valuable experiences, such as assisting classes, performing in a holiday show, being on a competitive team, choreographing and the opportunity to take master classes by amazing teachers. I always recommend A Step Above to anyone who is interested in dance whether just for enjoyment or as a career. It has been such a positive impact on my life. I danced at A Step Above Dance and Music Academy from age seven to eighteen, and I am proud to say that I have some of my fondest memories at the studio. I was given the opportunity to do what I love, in many different dance styles and through varying events. As a member of the A Step Beyond Dance Company for nine years, I gained valuable life skills, such as responsibility and teamwork, and found my love for performing on stage. Regardless of the facet, I was surrounded by knowledgeable instructors who cared for me as an individual and peers who would become some of my best friends. I believe it was my positive experience at A Step Above that encouraged me to pursue dance after high school. Today, I am enrolled as a BFA dance major at the University of Minnesota: Twin Cities. There, I have been fortunate enough to work with many talented artists, including Carl Flink, Toni Pierce-Sands, Erin Thompson, and Chris Schlichting. The strong foundation and versatility of the technique that I received at A Step Above gave me the confidence and abilities to find success in auditions, master classes, and in my daily courses at the U of M. Professors have recognized my strong ballet background, which is something that I greatly respect about ASA’s focus. In the future, I aspire to have a performance career in dance, as well as teach, and I believe that A Step Above has given me the necessary tools to get there. Overall, I am so grateful that I ended up at A Step Above for my dance training, and I would highly recommend the studio to everyone. It is a fun and safe place to express yourself, and the output is incredible. The resources it provides are enough to prepare dancers for a professional career, and even if dance is not something a student wishes to pursue, they are given the opportunity to grow as a person and bond with others who share their love of dance.